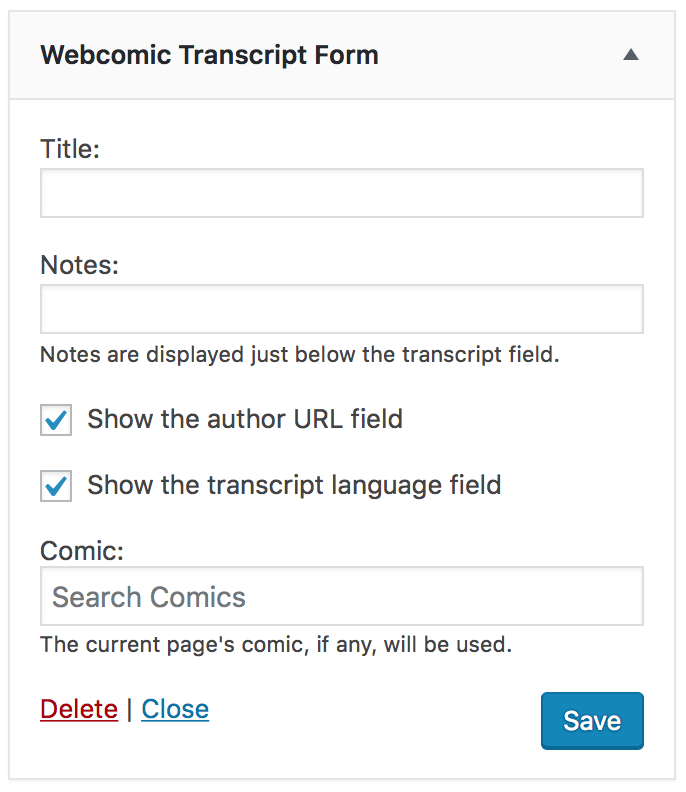 Display a comic transcript form. Optional text to display just below the transcript field. When checked, shows the optional author URL field. When checked, shows the optional language selection field. The comic the transcript form is for, or the current page’s comic (if any).